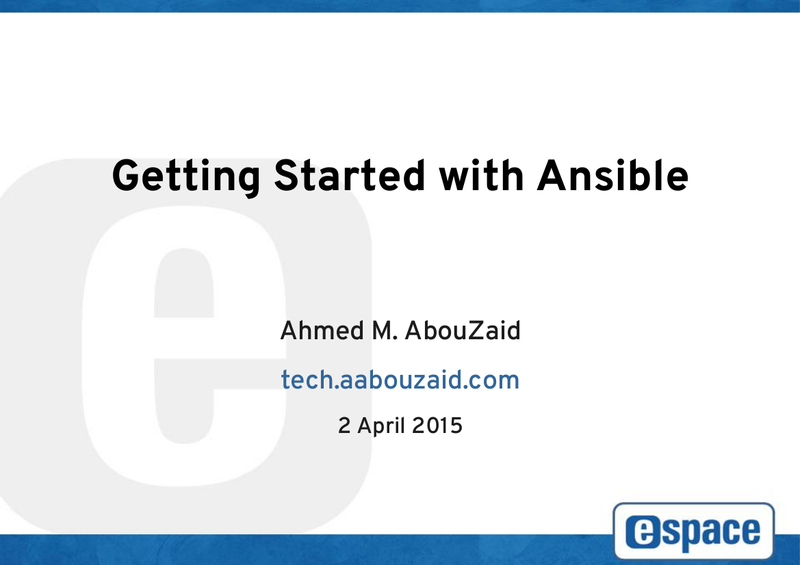 Getting Started with Ansible - Presentation. ~ Ahmed AbouZaid! I have no problem to digging and troubleshooting an issue for hours, or dealing with new technology from zero, but my heart cannot having to do the donkey work! So, I always automate what can be automated! Starting of Bash, AWK, Python ... and now Ansible! I used Puppet for a while, but after trying Ansible, I fell in love with it! It's very simple and handy, agent-less, YAML syntax, orchestration ... simply it's Awesome! Not only admins love it, but developers too! 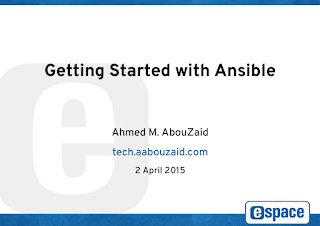 If you are interesting in Ansible, you can find more resources on Ansible website to getting started with it.